Dental implants are a popular and effective way to replace missing teeth and are designed to blend in with your other teeth. They are an excellent long-term option for restoring your smile. In fact, the development and use of dental implants is one of the biggest advances in implant dentistry in the past 40 years. Dental implants are made up of titanium and other materials that are compatible with the human body. They are posts that are surgically placed in the upper or lower jaw, where they function as a sturdy anchor for replacement teeth. • First, the oral surgeon surgically places the implant into the jawbone. • Next, the bone around the implant heals in a process called osseointegration. What makes an implant so strong is that the bone actually grows around it and holds it in place. Osseointegration means “combines with the bone” and takes time. Some patients might need to wait until the dental implant is completely integrated, up to several months, before replacement teeth can be attached to the implant. 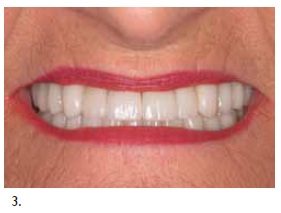 Other patients can have their dental implants and replacement teeth placed all in one visit. 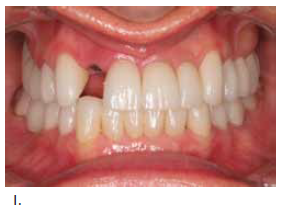 • Finally, it’s time for the placement of the artificial tooth/ teeth. For a single tooth implant, your dentist will customize a new tooth for you, called a dental crown. 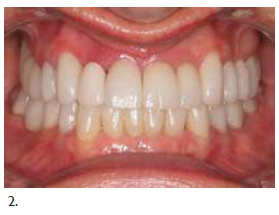 The crown will be based on size, shape, color and fit, and will be designed to blend in with your other teeth. 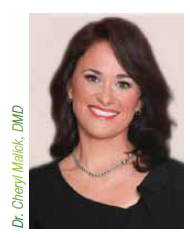 Dr. Cheryl Malick and the Dental Excellence team in Naples, FL are pleased to be serving the Naples, FL area and look forward to personally welcoming you today. We are proud to be celebrating our 10 year anniversary.